Riverside Court Cottage has been beautifully converted from a 1697 cider, sack and coal warehouse to provide a lovely holiday cottage for 3 guests. 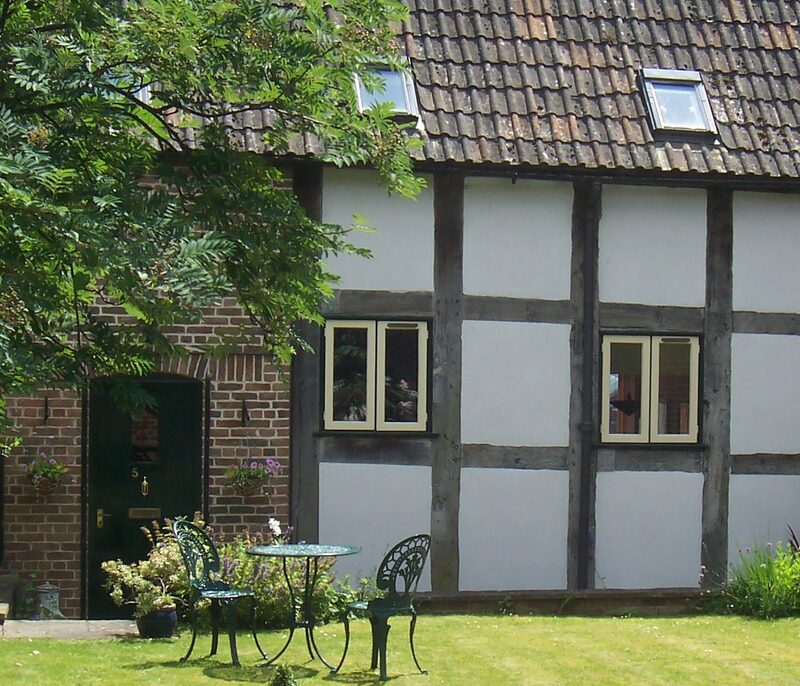 The cottage exudes character and warmth with many original internal and external oak beams. There are two bedrooms, with a spacious modern bathroom including a large whirlpool bath and power shower. The master bedroom has a splendid solid oak 4 poster bed which is a superb feature of the cottage. The fully fitted kitchen is very well equipped and includes: dishwasher, washing machine, fridge/freezer, gas hob and electric oven, microwave and toaster. There are ample functional utensils and a butcher’s block. Outside, the cottage shares a communal garden with superb views over the river, the old Wye Bridge, the Left Bank complex, the cathedral and the Bishop’s Palace. Also, there is a table and chairs near the door for guests to use and a terraced area at the end of the garden. * As an additional benefit to our visitors, we have a private, single garage which is available to use completely free of charge. * Supply of quality cotton towels, tea cloths/towels, cleaning equipment, etc.